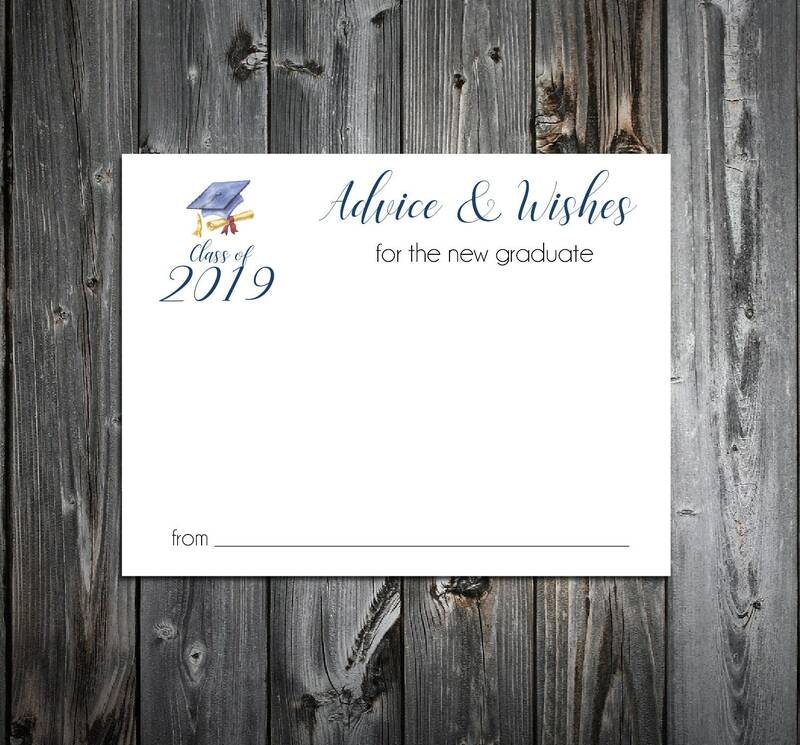 ~ Graduation Advice and Wishes~ only 9 cents each! When you receive your advice and wishes, they will be ready for you to put on a table for your guests to share their advice and wishes with the new graduate! "Advice and Wishes for the new Graduate." will be printed on these unless you provide other wording you would like on these. If you would like other wording on these please provide your wording in the comment section of the payment.